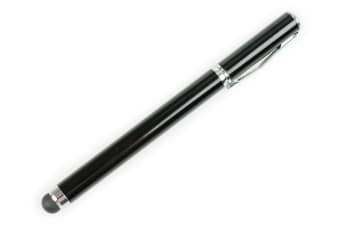 Read customer reviews of the Stylus Pen for Smartphones & Tablets (Black). After a purchase, we invite our customers to leave a product review. The customer reviews for Stylus Pen for Smartphones & Tablets (Black) are below. Handy to use all the time. I wasn't expecting it to be a pen as well, so that was a bonus! Cuz I only purchased it thinking it was a stylus to use on my mobile. It does its job very well and is a good accessory to carry around. Looks good, too. My stylus pen is just what I need as I have difficulty using my fingers due to arthritis. Very easy to use, lightweight & comfortable. A good and well made item. Have not received this product yet. Hopefully they were not enclosed with the antenna above which had been broken open principally due to poor packaging.